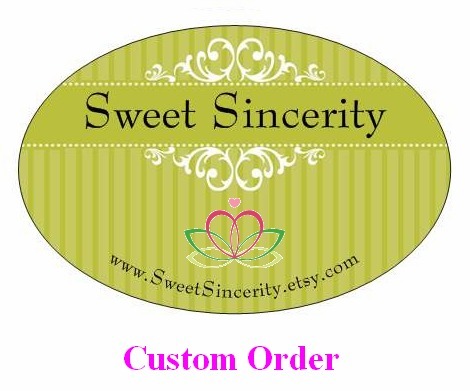 Sweet Sincerity: Sweet Sincerity Jewlery is Getting Better All the Time! 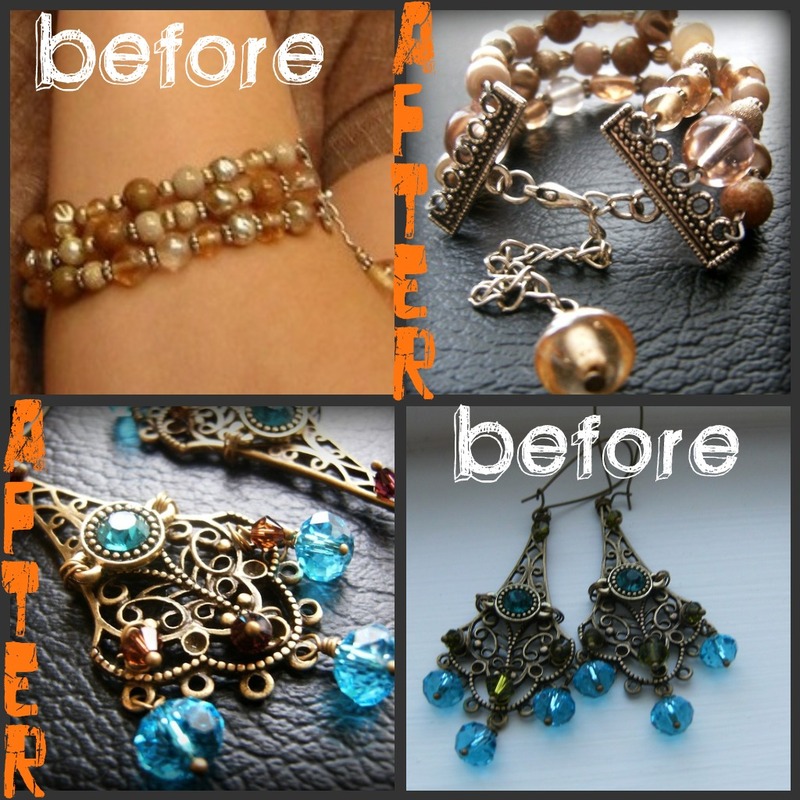 Sweet Sincerity Jewlery is Getting Better All the Time! 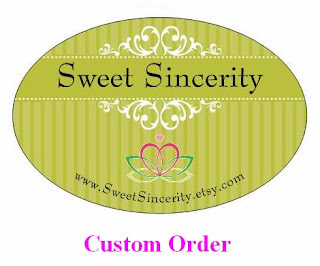 There are a lot of exciting changes going on at Sweet Sincerity Jewelry this week. The first (and most exciting in my opinion) is the fact that my sister, Alexandria has joined the Sweet Sincerity design team. She just started modeling my jewelry, which was an amazing help (as I've said before, it's nice not to have to try to take ridiculous pictures of myself in front of my shower curtain). In addition to offering up her modeling talents, now she has started making jewelry for Sweet Sincerity too! How exciting is that?! Yesterday, I listed her FIRST set of earrings in My Etsy Shop and they sold within HOURS! I am so proud of her! I love having another contributor to Sweet Sincerity. My sister and I have different tastes, but that's a good thing because I think it is important to cater to a variety of styles. She's helping me get more ideas and different perspectives! Not to mention that it is much easier to build up an inventory when two people are making things! In other news, I am in the process of redoing all of my product photos! By a total fluke, I decided to use my husbands new ottoman as a place to take pictures of my sisters jewelry the other day. These pictures turned out to be PHENOMENAL! I can't believe it-my husband just bought this nice black ottoman, placed it by one of the large windows in our house, and now I have the perfect place to take pictures of my jewelry in natural light with my new wonderful camera! :) Oh, life is good! Look at the difference of my old and new photos! 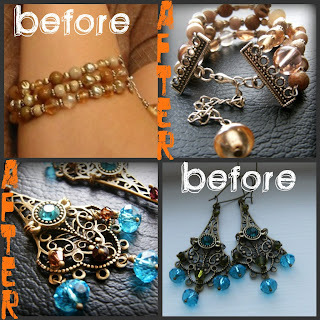 Now my jewelry can look as great online as it does in person! In exciting BLOGGING news, two other Etsy sellers have asked me to write a review of their products on this blog! I am so honored that they would want ME to review their products! I do so love to blog, as well as promote great products for other people, so this will be a lot of fun! Oh, and did I mention that they are going to give me their products for FREE? That is a pretty SWEET deal, if I do say so myself! Look for my reviews in coming blog posts, maybe you will find a great product here that you could use too! 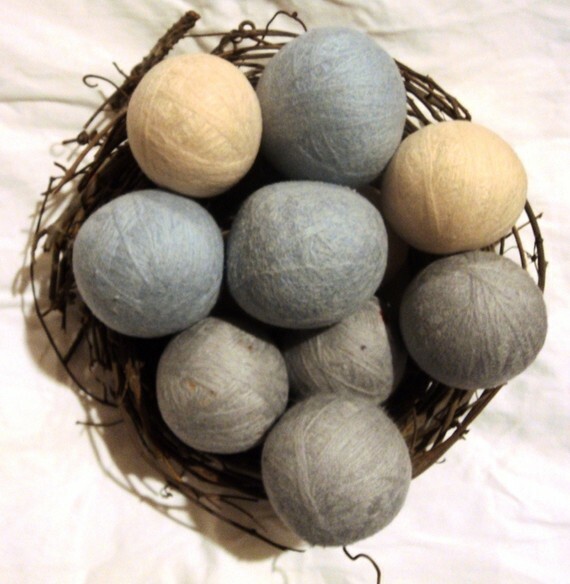 I am excited about trying the product in the picture to the left, they are woolen dryer balls that decrease the drying time of your laundry, thus saving you time and money! Mateo is going to love that!!!! Items that are going to be AUCTIONED OFF! Another exciting event is that some Sweet Sincerity Jewelry is going to part of an auction as part of a fund-raiser for a local school here in Bangor, Maine ! I can't wait to drop off the items I've donated! And I really can't wait to see how much my items are auctioned off for! I was so excited when someone contacted me from the school, this is my first auction that I've ever been a part of! I wonder if I can attend and watch the bidding!?! That would be CRAZY fun! That is so cool that you and Alee are working together! My pleasure! I love your treasuries so much! You've got some great taste(and not just because you chose my item to feature)! Thank you for featuring my Victorian and Edwardian Inspirations treasury, Bethany! :) Love your shop!